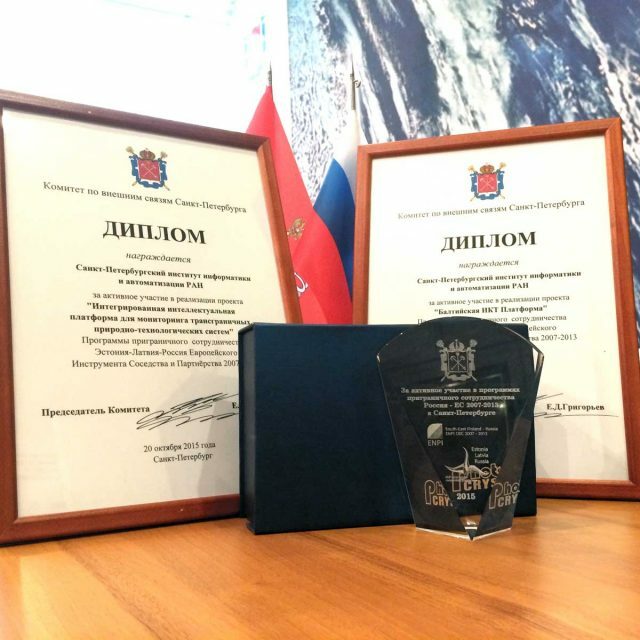 On June 23 – July 9, 2018, in the framework of ERASMUS+ project «InMotion – Innovative teaching and learning strategies in open modelling and simulation environment for student-centered engineering education» the 1st International Open Summer School 2018 was held in St. Petersburg. 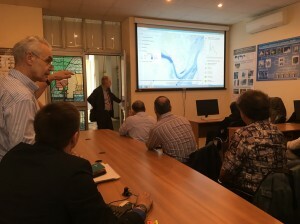 This event was organized by St. Petersburg State Marine Technical University, Peter the Great St. Petersburg Polytechnic University and St. Petersburg Institute for Informatics and Automation of the Russian Academy of Sciences. On July 6, 2018, the project participants and more than 40 students from partner universities visited SPIIRAS, where LITSAM representatives made several reports on the topic of laboratory’s current scientific activities. 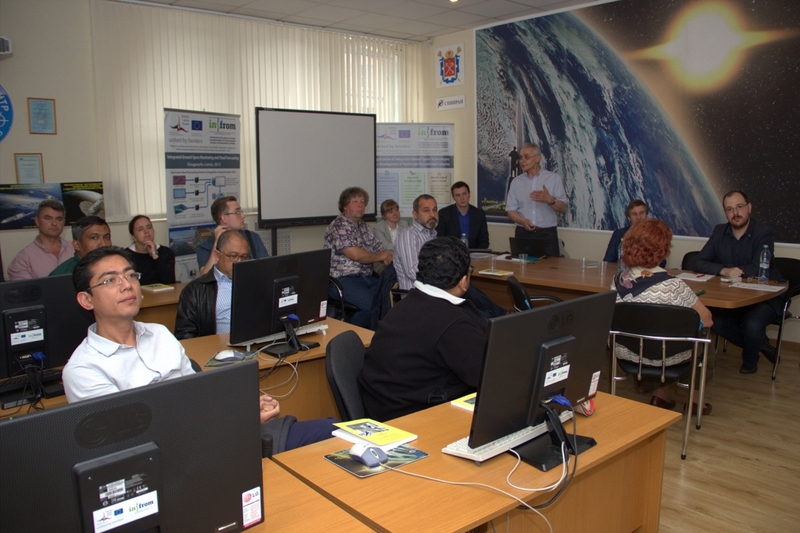 The head of LITSAM Professor Sokolov B.V. spoke about modern technologies of complex objects and systems modeling . Chief researcher, Professor Zelentsov V.A. 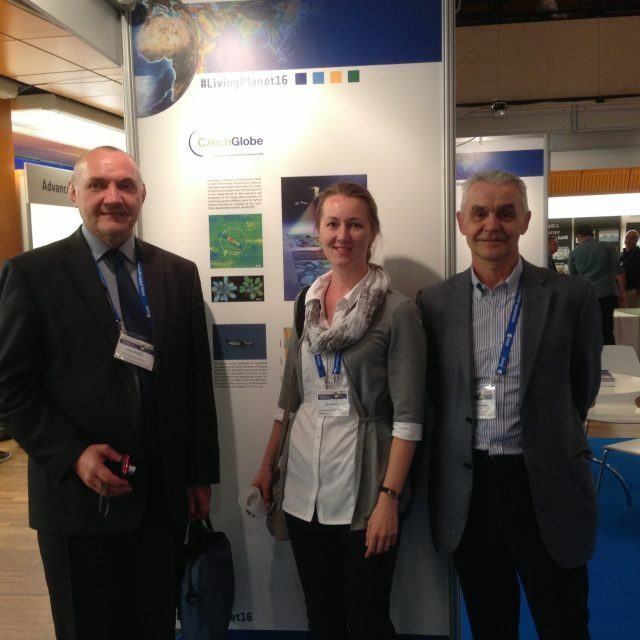 reported about technologies of designing and using thematic services based on modern and perspective platforms. As an example of practical implementation of such technologies Professor Zelentsov V.A. 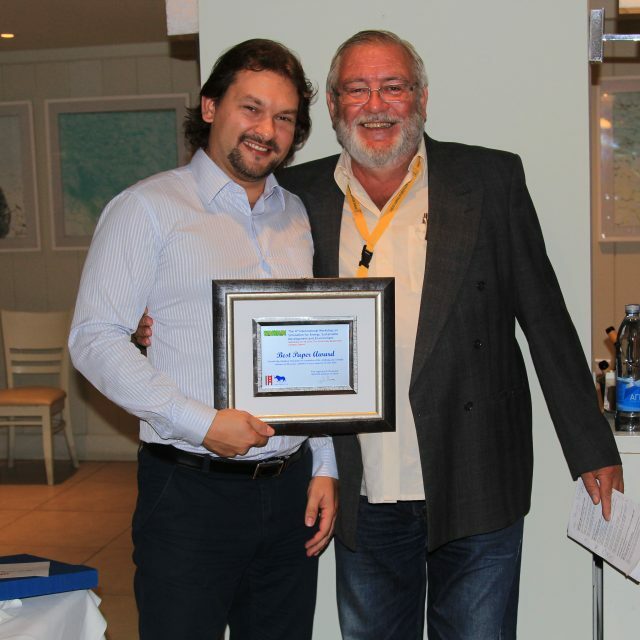 and junior researcher Pimanov I.Yu. 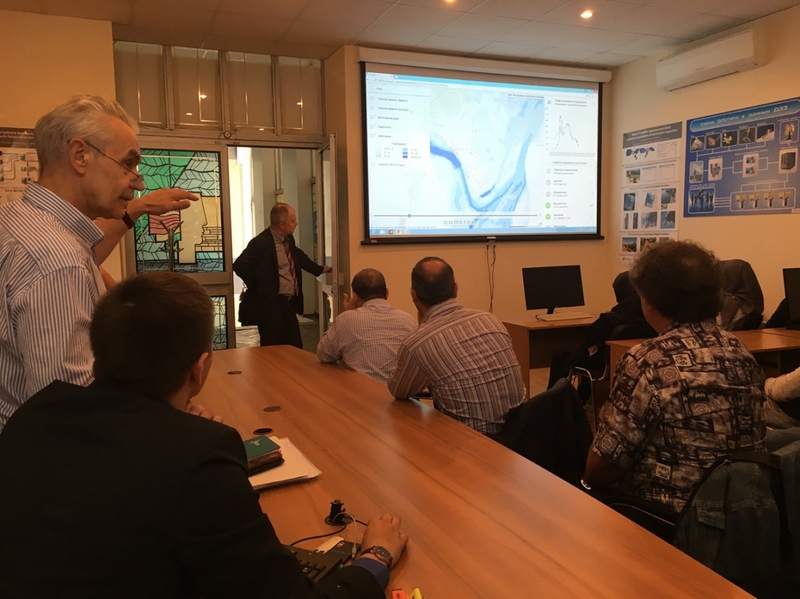 showed the work of operational river flood monitoring and forecasting system «Prostor» created under the Russian Science Foundation grant. Ponomarenko M.R. made a report about the possibilities and the experience of using remote sensing data for verification of monitoring and forecasting results. 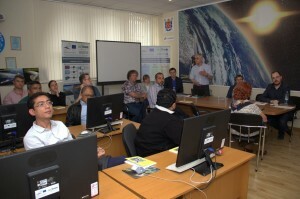 During the seminar project partners discussed the current stage of the project and the prospects for further cooperation. This article was tagged Pimanov, Ponomarenko, Sokolov, Zelentsov.